Make plans to join us for a wonderful autumn day in New Hampshire on Thursday, October 3, 2019. Our trip includes round trip motor coach transportation from INSIGHT, lunch at Hart’s Turkey Farm, and a two hour ride on the Hobo Railroad. We will start our day at INSIGHT with departure at 7AM. From there we are off to enjoy a great lunch at Hart’s Turkey Farm in Meredith, New Hampshire. Afterwards we will catch a train on the Winnipesaukee Scenic Railroad! 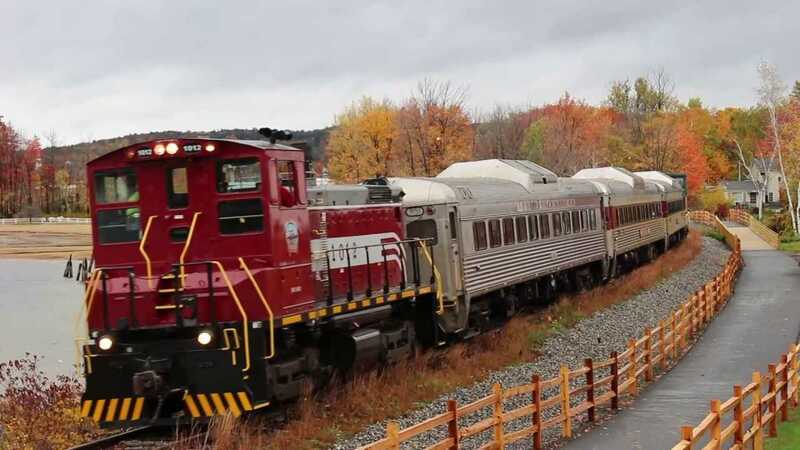 This historic railroad will take us on a narrated tour along the banks of Lake Winnipesaukee. This is a beautiful ride at any time of the year but during the Fall it is outstanding. After our train ride we board our motor coach and begin the journey to INSIGHT, arriving back at approximately 7PM. Tickets for INSIGHT clients are $50 each. Guest tickets are available for $100 (limit one per client). There is a limit of 54 people for this trip. Participants may put down a $15 deposit to hold their seat. Final payments are due by September 1. Full refunds are available for cancellations received 14 or more days before the trip. Rhode Island's reading service for people who are blind and visually impaired.